The Harvey Association began as a college student’s dream of having her own business. Choosing an accounting major, Mara obtained her degree at the University of Tennessee Knoxville in 1992. Understanding how tax and business laws play a pivotal role in the success of any business are her strong assets. Now combined with her 25 years of accounting experience, she can guide your individual financial or business goals to the next level. Mara currently serves on the UT Federal Credit Union investment advisory committee Line12 Fund for microlending to local entrepreneurs. She has served as President of Oakwood Lincoln Park Neighborhood Association with over 3000 homes and businesses, as a Big Sister with the Boys and Girls Club, and regularly donates aid to Habitat for Humanity and Young Williams Shelter. 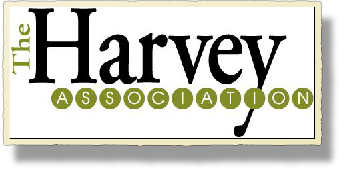 Angela joined The Harvey Association in 2009. She has over 35 years of experience with several large CPA firms in the Southeast. A Presidents Scholar from Springhill College she formed a foundation in accounting with several large CPA firms in Houston, TX and Mobile, AL. She has over 20 years experience in construction, mechanical and real estate accounting divisions. She also excels in computer systems and databases. Angela is a member of Tennessee Society of CPA’s. She enjoys travel and gourmet cooking when not serving our clients with focus and dedication. She also enjoys play time with her large poodle pal. Scott brings a strong understanding of accounting and legal skills to The Harvey Association. With over 35 years of accounting experience plus expansive legal knowledge he aids greatly in decision making for our clients. His 10 years of work with the FDIC in areas of criminal investigation provide a great understanding of working with the IRS. His accounting expertise in partnerships, non-profits, corporations as well as individual taxes is critical to your business. A University of Tennessee graduate Scott is native to the east Tennessee area. Besides his accounting expertise he also has multiple computer skills from programming to PC based tax software support. He is currently very active and a big supporter of the local Jazz music scene. 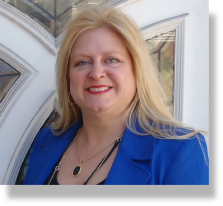 Brenda has over 15 years of tax preparation and accounting experience from several CPA firms to government offices. She spent several years with the Air Force in accounting and budgeting working internationally. She is also the proud owner of an Alpaca farm that produces fibers for numerous craftsman in the southeast. From CEO, COO to chief bottle washer in over 35 years of small to enterprise level business experience Jim can relate to your business needs. He has had numerous startups of his own as well as over 10 years of General Electric corporate experience. With Six Sigma to Koala T project management , Microsoft and IBM certifications he can keep you current in technology requirements for accounting needs. Over 15 years of Supply Chain management and Electronic Data Interchange specialties can aid your business to be efficient, productive and competitive. Having lived and worked internationally as a business leader for over a decade Jim can benefit your growth on a larger scale. He also has local business acumen from trademarking and starting the original Big Orange Specialties to managing The HarVestor Group real estate mangement and investment company. Brad joined our company in 2015 with a background in small business bookkeeping and over 10 years in managerial experience. He graduated Cookeville High School in 1997 and attended Milligan College in Johnson City, TN. An avid outdoors man, when not at work you will most likely find Brad and his wife Julie in the nearby mountains hiking and camping.